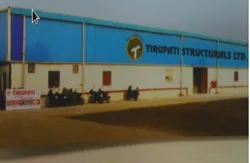 "We "Tirupati Structurals Limited" established in the year 1988 are a well known manufacturer and supplier of PVC Pipes, HDPE Pipes, G.I. Pipes, Fittings and Water Storage Tanks. Our range of pipes is categorized into Tirupati Superflow Pipe, PVC SWR Pipe, Unplasticized PVC Pipes, HDPE Pipes, Column Pipes, PVC Fittings and PVC Casing Pipes. Further, the range of tanks contain PE Water Containers & Tanks. The range that we offer to our clients are widely acknowledged due to chemical resistance, sturdy construction, abrasion resistance and durability features. "Our organization has talented professionals who are selected after checking their level of knowledge and skills. They have in-depth knowledge in their respective field which allows us to deliver quality range of pipes, fittings and tanks. 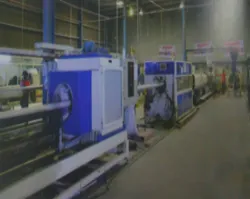 Our professional have the capability to handle sophisticated machines which helps in maintaining consistent quality and desired production rate. The Combined production capacity of our plant is about 4000 Tons per month." We are continuously gaining market share and achieving new heights in the domestic market under the able supervision of "Mr. Lalit Aggarwal". Due to his vast industry experience and leadership, we have carved a niche for ourselves. Manufacturing & Trading of PVC pipes And Tanks. 2014-15 Rs. 100 - 500 Crore Approx. In order to assure the genuineness of the PVC Pipes, HDPE Pipes, G.I. Pipes, Fittings and Water Storage Tanks, we have received many certifications. These certificates and licenses certifies us to be a trustworthy manufacturer and supplier in the market. We are a eminent manufacture and supplier engaged in offering an extensive range of PVC Pipes, Hdpe Pipes, G.I. Pipes, Fittings and Water Storage Tanks.These are manufactured using high grade raw material which are acquired from recognized vendors situated in India and abroad. Due to the comprehensive feature of our range, these are extensively used in industries like drinking water, poratable water, sewer line, waste water and for water storage water etc. We offer the range as a standard product but also customize according to the requirement of the clients. We have gained expertise in offering a wide range of of PVC Pipes, Hdpe Pipes, G.I. Pipes, Fittings and Water Storage Tanks which helps us in serving the requirement of many industries. Our expert professionals said in manufacturing industry specific products and fabricate pipes, tanks and fittings as per the requirement of the clients. Owing to our salient features of PVC Pipes, Hdpe Pipes, G.I. Pipes, Fittings and Water Storage Tanks, we have been able to build a strong base in the domestic and International market. The trust of the clients can be seen by repetitive orders placed by them. Our clients can also avail customized products as per their requirements. We also follow flexible customer approach which helps us in fulfilling different requirement of our clients. Our organization is the most trusted concern engaged in offering PVC Pipes, Hdpe Pipes, G.I. Pipes, Fittings and Water Storage Tanks which is highly acclaimed for their comprehensive features. We give customized solution to our clients and fabricate products as per customer's requirement. Innovation and constant growth has been the primary focus of our team which helps us in achieving organizational growth within stipulated time frame.